Ghent University is part of the top 100 and one of the major Belgian universities counting over 41,000 students and 9,000 employees. Located in Flanders, the Dutch-speaking part of Belgium and the cultural and economic heart of Europe, Ghent University is an active partner in national and international educational, scientific and industrial cooperation. With a view to cooperation in research and scientific service, numerous research groups, centres and institutes have been founded over the years. Several of them are worldwide renowned, in various scientific disciplines such as biotechnology, aquaculture, microelectronics, history, among other fields. Ghent University distinguishes itself as a socially committed and pluralistic university in a broad international perspective. 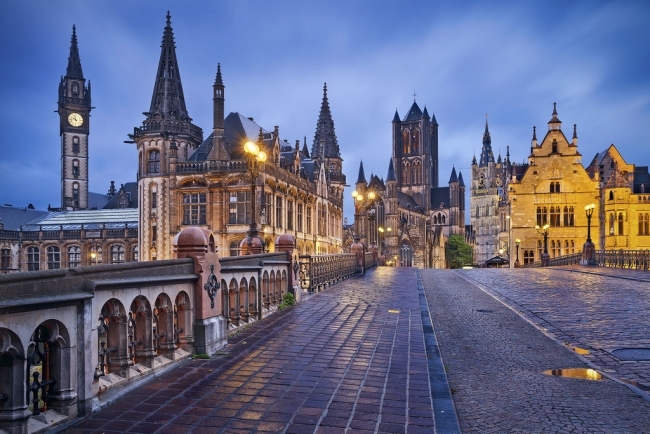 The history of Ghent University is built on social impact. 200 years of Ghent University is a symbolic pivotal point. We are not just looking back at our rich history: most of all we are looking ahead and asking ourselves about what role we want to play as a university in the future. 2017 is the perfect moment to give shape to this vision. Ghent University is not the university of today or the university of tomorrow: it is the University of the Future. The presentations held in the SGroup General Assembly, from 10th to 11th December 2017, are now available below, as well as the agenda and practical info.